Trainer Joe Pride has no ambitions to get Ball Of Muscle into the $13 million Everest with his primary aim a Group One win. 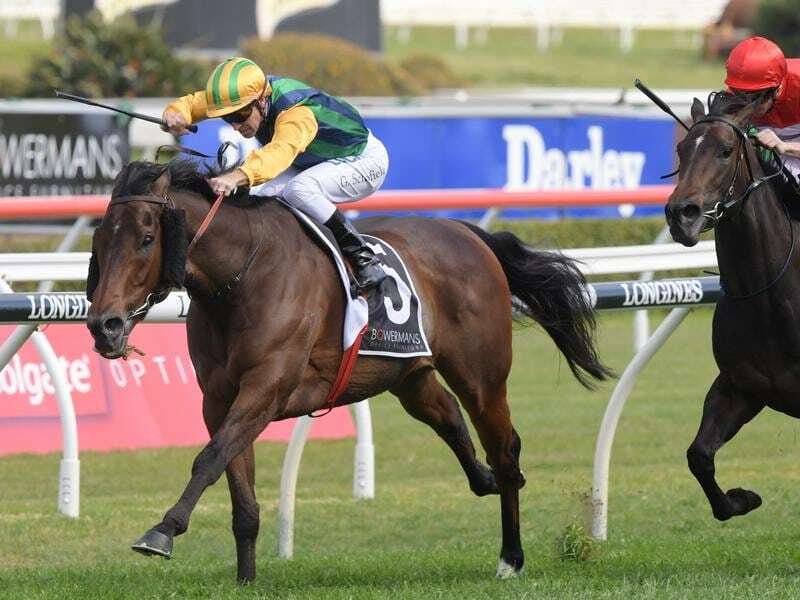 The gelding’s next chance will come in Friday’s Moir Stakes (1000m) at Moonee Valley where he will be up against boom sprinter Nature Strip who has a berth in The Everest on October 13. Ball Of Muscle has had two starts this spring for a win in the Group Three Heath at Caulfield and Group Two Shorts at Randwick. In The Heath he beat a field which included Everest runners Brave Smash and Santa Ana Lane and in The Shorts three Everest contenders, Invincible Star, Brave Smash and English finished behind him. “The Everest is not really on our agenda,” Pride said. Pride trained Ball Of Muscle’s siblings Tiger Tees and Terravista to Group One wins and said the three were all late maturers. “All of them have had some feet issues that have had to be managed but they all got better as they got older,” he said. “Ball Of Muscle might be an eight-year-old but he has been lightly raced. The tight Moonee Valley track holds no concerns for Pride. “He did run second to Buffering in a Moir Stakes (2015),” he said. The gelding has had 35 starts which have produced 11 wins, nine for Glyn Schofield who will be aboard again. “Glyn has an amazing record on him so it’s great to have him on again,” Pride said. There is one slot left in The Everest(1200m) with the group headed by Max Whitby and Neil Werrett eyeing several sprinters after losing their original choice Menari to injury.